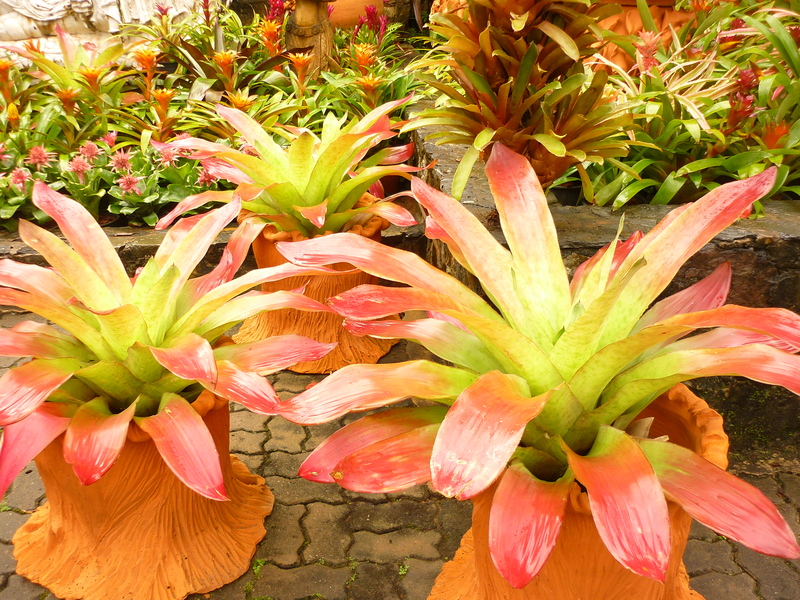 I found these Bromeliad plants in Nongnooch Botanical Garden in Pattaya, Thailand. These plants belong to Bromeliaceae family or the pineapples. These lovely plants are used for decorations. It is easy to grow them. Mostly they are grown in pots and they need constant watering and caring too.